In order to provide the most effective selection process possible, the Leeming Spartan Cricket Club and its Committee have devised a Selection Policy to ensure that all members are aware of what is required of them, which will enable our Selectors to successfully complete their roles. Our Chairman of Selectors this season is our President Peter Coombs, who has taken on the role to provide a much required wiser head at the top of the Leeming Spartan selection process. Peter will be aided by Marc Dodds, Nick Manifis, and Peter Waite as selectors this season. The policy is used in order to provide the best possible selection process to our club members. Selections are uploaded each Thursday night after training (no later than 10:30pm) on the Selections page of our website. You can find out more about the Selection Panel via the Selectors Page. You can use this email to contact the Selectors about any matters involving Selections, not just to inform them of your unavailability. YOU MUST COMPLETE ONE OF THE ABOVE TO NOTIFY THE CLUB OF YOUR ABSENCE! Getting someone to notify the club on your behalf will not suffice and you may miss future matches because of this! ALTHOUGH OPTIONAL, IT IS IN YOUR BEST INTEREST TO ENSURE YOU AREN’T NAMED TO PLAY WHEN YOU ARE UNAVAILABLE AS IT MAY IMPACT FUTURE SELECTION! YOU MUST COMPLETE ONE OF THE ABOVE TO ENSURE YOU HAVE BEEN SELECTED – DO NOT ASSUME YOUR POSITION IN ANY GRADE! It is up to you to confirm your selection in a grade – not the Selectors. 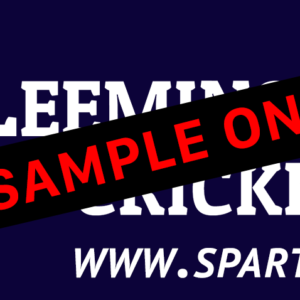 It is not feasible to liaise with all 95 registered club members each Thursday night to make sure they are aware of their selection, so the Leeming Spartan Cricket Club kindly asks that you please ensure the grade you have been selected for. Teams will be selected on the Tuesday during training, and announced each Thursday. It is your responsibility to inform the selectors of your inability to play prior to the selection announcement on Thursday evenings. Where relevant, players who train will get preference over those non-trainers. Players who perform will go up in the grades! For more information please see the Selection Committee page on the website or head to the Selections page to view team selections. The Leeming Spartan Cricket Club kindly asks that you always behave in a proper manner when speaking to selectors or voicing your concerns. We understand that with six sides, and therefore 66 players each week, it is impossible to please everyone. 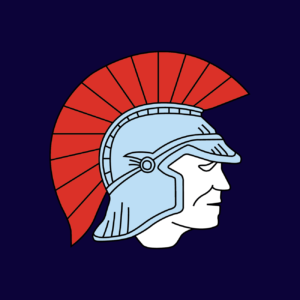 However, it is important to remember that no individual is bigger than the Club, and as such, decisions will be made in the best interest of the Leeming Spartan Cricket Club. As such, we provide you with an avenue to voice your concerns on our website via our Complaints Page, and you may choose to remain anonymous when using this page. We take your concerns extremely seriously, however, we reserve the right to decline any suggestions. It is important to note that captains and other members (“your mates” at the Club) do not have the power to persuade members to play where they see fit, that is; when it is different from the announced selections. A member does not have any authorisation to alter selections, particularly after the naming of the selections on the Club website. Under NO circumstances are you permitted to persuade a player to play somewhere other than where he has been selected. Failure to comply will result in immediate expulsion from the Leeming Spartan Cricket Club.